Nowadays, the size of the ceramic materials that a tile fitter works with tends to get bigger and bigger. New, larger and harder ceramic slabs require new and better power tools and the highest quality saw and blades to perform a perfect job. 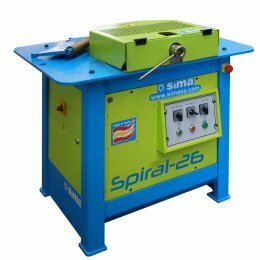 SIMA has a selection of wet tile saw and other tools and products to meet every need: from 700 mm (27.5”) cutting length to 1000 mm (39.3”) and a range of different cutting depths when using a Ø200 mm (8”) or a Ø230 / Ø250 mm (9” / 10”) diamond blade, adjusting the height of the cutting head. 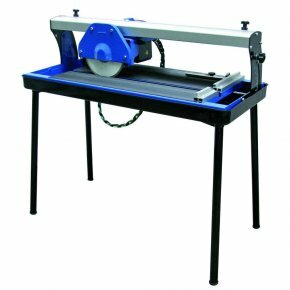 Our wet tile saw models are both rugged and lightweight, as they are built on an aluminium frame along with other rust-free materials. The cut is always thin, accurate and professional quality. 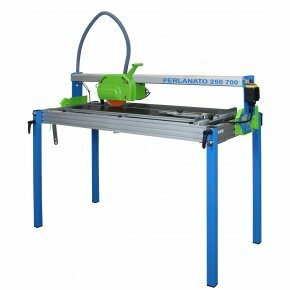 The PERLANATO range of wet tile saws is versatile, practical and durable with high performance. 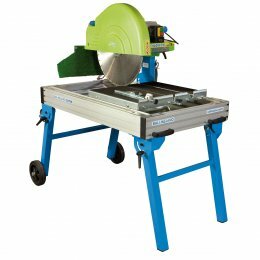 Our tile saw is the perfect product for cutting large slabs of hard porcelanic gres. All models have folding legs, and wheels are optionally available at our online shop. 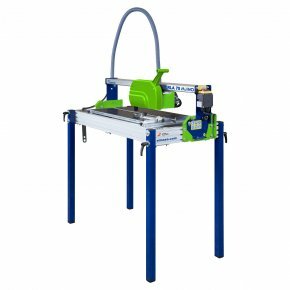 As another option, these products can be complemented with a side support with accessory tools, such as two clamps to lock the piece to the bench of the wet tile saw to obtain a more precise cut. 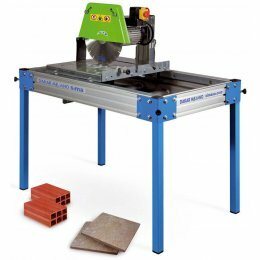 For portability when dry cutting, the HANDY tile saw model is for you. This dustless tile saw with a vacuum collection system is unlike any other machine on the saw market today. 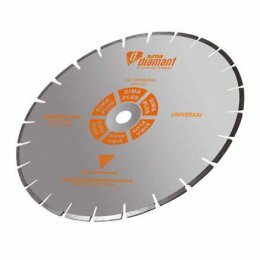 This is a tabletop product with a diamond blade diameter of 350 mm (14”). Make sure to use a saw blade indicated for dry cutting with this product. Our wet tile saws offer fast, reliable and efficient solutions by performing the two basic functions that the tiler needs on site: straight cutting and mitre cutting. 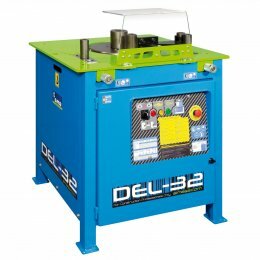 All PERLANATO models are supplied with a diamond disc (for ceramic materials) included. 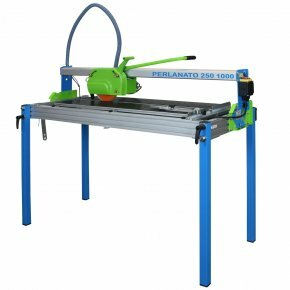 Furthermore, PERLANATO wet tile saws have a positioning and fixing system that prevents both the cables and the water supply pipe from entering the cutting field. Like all SIMA wet tile saws, the nuts that hold the guard are attached to it with a rubber to prevent loss. Wet or dry, for the highest quality tile saws in the UK at the best price and with the greatest service, look no further than SIMA. Buy the products that you need direct from the manufacturers and save. 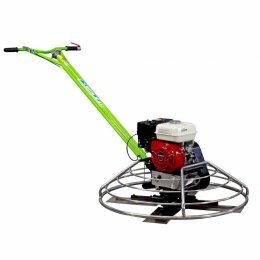 Buy tile saws at the best price in our online shop direct from the manufacturer with the most comprehensive service. Free shipping on tile saws to the UK. 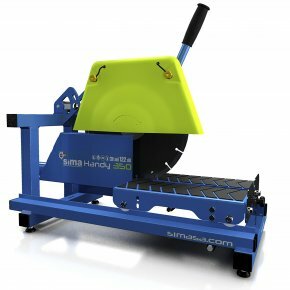 The new SIMA PERLANATO is a wet tile saw specially conceived to cut ceramic and porcelain slabs. 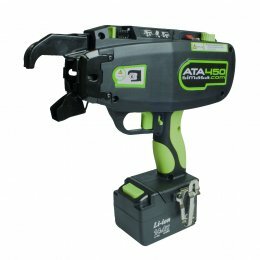 PERLANATO tools offer quick, trustworthy and efficient solutions, performing the four basic cutting functions which are carried out by the professional stonemason at a building site. 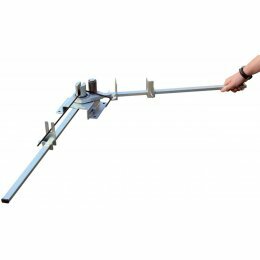 Removable, independently adjustable legs make any job easier.